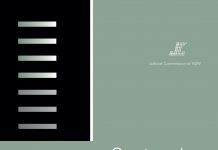 This study provides an empirical and legal analysis of cases dealt with on indictment in which findings of special circumstances have been made. It first reports the prevalence of findings of special circumstances between 1 January 2005 and 30 June 2012. It also identifies the degree to which sentences departed from the 75% statutory ratio. Finally, the study examines the factors which were found to warrant findings of special circumstances and their effect on the ratio between the non-parole period and the term of sentence. Section 44(1) of the Crimes (Sentencing Procedure) Act 1999 provides that when sentencing an offender to imprisonment for an offence, a court is first required to pronounce a non-parole period for the sentence. Section 44(2) further provides that the balance of the term of the sentence must not exceed one-third of the non-parole period for the sentence unless the court decides that there are special circumstances for it being more (hereafter described as the statutory rule). Section 44(2B) similarly provides that where a court sets an aggregate sentence of imprisonment, the balance of term must not exceed one-third of the non-parole period, unless the court finds that there are special circumstances. Both s 44(2) and s 44(2B) require the court to record its reasons for finding special circumstances. 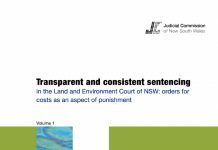 Notwithstanding the importance of focusing on the whole sentence (or full term of sentence), it is useful to compare the NSW position under s 44(2) to the approaches in other jurisdictions. 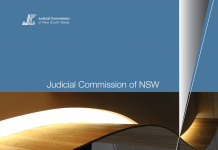 The above comparison shows that NSW is one of the few Australian jurisdictions which has a peculiar statutory rule constraining a courts discretion when it sets a non-parole period. The statutory ratio is also relatively high. Any discussion of the relationship between the non-parole period and the balance of term or parole period inevitably raises the broader question of the purposes each serves. How is s 44(2) applied? The concept of special circumstances is firmly entrenched in sentencing law. An offenders legal representative is expected to make submissions addressing factors which may warrant a finding of special circumstances60 and particularly what is an appropriate period of supervision on parole for the offender. Generally speaking, the reform of the offender will often be the purpose in finding special circumstances, but this is not the sole purpose.72 An offenders good prospects of rehabilitation may warrant a finding of special circumstances.73 However, if an offender has poor prospects of rehabilitation and shows a lack of remorse, protection of the society may assume prominence in the sentencing exercise and militate against a finding of special circumstances.74 The risk of institutionalisation, even in the face of entrenched and serious recidivism may justify a finding of special circumstances.75> However, the existence of the factor does not require a finding.76 If institutionalisation has already occurred the focus may be on ensuring that there is a sufficient period of conditional and supervised liberty to ensure protection of the community and to minimise the chance of recidivism.77 An offenders youth,78 advanced age,79 the need to treat a drug addiction,80 ill health,81 mental illness,82 considerations of parity,83 and the fact that the offender will suffer harsher custodial conditions84have all been acknowledged as circumstances which may justify a finding of special circumstances. Where does s 44(2) fit in the sentencing exercise? be productive of different results at different phases of the sentencing process.107 Arguably both approaches are erroneous because each introduces a bright line rule and each fails to have regard to the fact that the application of s 44(2) is inextricably linked to findings about an offenders rehabilitation. There is nothing in s 44 or the case law which mandates a method or, to adopt the High Courts term in Markarian v The Queen108 the path the sentencer must take.109 Section 44(2) is a conditional rule in respect of the balance of term of the sentence which is pronounced. secondary offences which are subsumed within the sentence for the principal offence. In such cases, the overall sentence will be the same as the sentence for the principal offence. at the overall (aggregate) sentence level. It was necessary to make a decision about whether the frequency of findings of special circumstances and the degree of departure from the statutory ratio in s 44(2) should be measured at the individual level, that is, by reference to the principal offence, or alternatively, at the overall level, that is, by reference to the overall sentence. For non-consecutive cases, it does not matter because the ratio at the principal offence level and the overall level is the same. However, where an offender is sentenced to consecutive sentences the ratios will be different in most cases. After careful consideration, the study adopts the overall level for the purpose of analysis. The reasons for adopting the overall level are considered briefly below and are further set out in Appendix A. In short, a measure based on the overall sentence more closely reflects sentencing practice and ultimately what occurred in the sentencing exercise. Further, the courts apply the totality principle in consecutive cases by reducing the non-parole period for the principal offence where some form of accumulation is considered necessary.126 Hence, to use the sentence for the principal offence to determine whether special circumstances were found and to ascertain the degree of departure from the statutory ratio would distort the analysis. While the stated reasons for a finding of special circumstances could not be ascertained for the majority of cases in the study, an examination of a random sample of the available remarks on sentence and/or Court of Criminal Appeal judgments provide an insight into the common reasons for departing from the statutory ratio.132 While the reasons given in these cases are examined below, the analysis in the study largely focuses on a statistical analysis of available data to ascertain the relationship between certain factors and findings of special circumstances. the degree of departure from the statutory ratio for all cases and for special circumstances cases. The latter measure uses the average value of all the ratios (mean ratio).133 The principal measure in the statistical analysis is the mean ratio for all cases, where lower mean ratios indicate a greater degree of departure from the statutory ratio. As each measure uses a base of 100, only one scale is provided in graphs. The chi-square test is used for nominal data such as gender, plea and the frequency of findings of special circumstances. The Kruskal-Wallis test is used for interval and ordinal data such as age, length of overall full term of sentence and the mean ratio. Due to the effect that large sample sizes have on the chi-square statistic, measures of association are also used to determine the relative strength (or magnitude) of each relationship. Cramers V is used when assessing the strength of the relationship with the frequency of findings of special circumstances. Figure 1 shows the ratios for cases in the reference period along a continuous scale. Figure 2 shows the ratios (grouped) for cases in the study by year. Figure 3 shows the frequency of findings of special circumstances and the mean ratio for all cases by year. Figure 1 also shows that the most common ratio (by far) between the non-parole period and the full term of the overall sentence was 50%, that is, the non-parole period was set at half of the full term of the overall sentence (20.6% of cases). Other common ratios were 66.67%, or two-thirds, (8.3% of cases), 75% (5.9% of cases) and 60% (5.3% of cases). As Figure 2 shows, 21.5% of cases had a ratio less than 50%; 42.0% had a ratio of 50% or less; 65.3% had a ratio of 60% or less; and 83.9% had a ratio of 66.67% or less. The mean ratio for all cases was 55.65% and the median ratio was 55.56%. The mean and median ratios for special circumstances cases were 53.73% and 53.33% respectively. As mentioned earlier, a random sample of 159 judgments in which a finding of special circumstances was expressly made were examined to ascertain the reasons for departing from the statutory ratio (random sample cases).140 Table 1 lists the reasons given for finding special circumstances in the random sample cases. It is worth first noting that usually more than one reason was given (78% of random sample cases): 37.7% (two reasons), 22.6% (three reasons), 11.9% (four reasons) and 5.7% (five or more reasons). Only 22% cited a single reason. treatment to address mental health issues. The offenders age and first time in custody were the reasons given in 25 cases. These offenders were mostly young people, but there was a small group of older offenders: three were in their sixties, one in his fifties and one in his late forties. It should be noted that in Collier v R141 McClellan CJ at CL had considerable reservations142 as to whether the fact that a person would be in custody for the first time or has no previous convictions were of themselves reasons capable of justifying a finding of special circumstances.143 This is because they are matters that will already have been taken into account when the court set the full term of sentence and the non-parole period, and should not be a source of further leniency.144 In the present study, this reason was the only one given to justify a finding of special circumstances in just 5 random sample cases (3.1%). In the other cases, it was combined with age, the need for supervision and the need for reintegration into the community. As stated above, there is a wide range of factors which are capable of constituting special circumstances. As remarks on sentence were not available in the majority of cases, the available data were examined to assess other possible factors and their relationship to findings of special circumstances. While the bivariate relationship between the factors and findings of special circumstances is shown in Table 2, it should be acknowledged that it would be unusual for a single factor to warrant a finding of special circumstances. It should also be acknowledged that there are other factors for which no data were available such as an offenders need for rehabilitation or need for treatment for alcohol or drug dependency. Two factors with ordinal data  length of overall full term and age of offender  are also displayed graphically in Figure 4 and Figure 5 respectively. With the exception of the factors Indigenous status and whether or not the offence was committed before the Sentencing Act 1989, there was a statistically significant relationship between the factors in Table 2 and the frequency of findings of special circumstances. However, the strength of the association was weak for most factors. When the analysis focused on the degree of departure from the statutory ratio, the same factors referred to above, with the exception of Form 1 matters, were found to have a statistically significant relationship with the mean ratio for all cases. Once again, the strength of the association was weak for most factors. In any functional system of criminal justice it is imperative that those who are imprisoned address underlying issues that bear upon the risk of recidivism both while in prison and on release. As stated earlier, the system of parole is designed to achieve that end. As a practical matter, an offender must have a sufficient period of supervision. Parole supervision for up to 3 years can be imposed, after which time the offender is expected to have reintegrated into the community. Section 44(2) sets a 25% parole period unless there are special circumstances. Consequently, the scope for supervision will depend on the length of the overall full term of sentence. There is less scope for supervision for shorter sentences compared with longer sentences. For example, a sentence of 2 years imprisonment without a finding of special circumstances will result in a maximum parole period of 6 months. On the other hand, a sentence of 12 years without a finding of special circumstances will result in a maximum of 3 years parole. Therefore one would expect that shorter sentences of imprisonment are more likely to attract findings of special circumstances than longer sentences, and further, shorter sentences will have a greater degree of departure from the statutory ratio (that is, lower mean ratios) than longer sentences. 96.1% of overall full terms were 12 years or less (36 months). Given the supervision period for shorter sentences, it is unsurprising that a finding of special circumstances was made in the vast majority of those cases. Conversely, the longer the sentence, the lower the frequency of findings of special circumstances, demonstrating that the utility of finding special circumstances diminished the longer the sentence because the period of supervision would have been considered sufficient. As shown, the length of the overall full term had the strongest association with the frequency of findings of special circumstances and the degree of departure from the statutory ratio. Figure 4 shows there was a noticeable decline in the frequency of findings of special circumstances when the overall full term reached 8 years and a further dramatic decline when the overall full term reached 16 years. The vast majority of sentences of less than 8 years attracted a finding of special circumstances (93.8%) compared with sentences of 8 years but less than 16 years (82.8%) and sentences of 16 years or more (36.6%). Figure 4 also shows that as the length of the overall full term increased so did the ratio between the non-parole period and the full term of sentence. As mentioned above, the lowest mean ratios were observed for offenders sentenced to an overall full term shorter than 4 years (50.58% for sentences less than 2 years, 50.23% for sentences of 2 years but less than 3 years and 52.75% for sentences of 3 years but less than 4 years). Three of the factors in Table 2 were also identified in Table 1 as reasons for finding special circumstances in the random sample cases: age of offender, whether the offender had been previously imprisoned and whether the offender was sentenced to consecutive sentences. As Figure 5 shows, special circumstances were found more frequently for the youngest offenders (98.8% for juveniles and 96.8% for offenders aged 1820 years) and for the oldest offenders (100% for offenders aged over 70 years and 98.0% for offenders aged 6670 years). These offenders also had the greatest departure from the statutory ratio, recording the lowest mean ratios (50.54%, 51.31%, 50.67% and 52.97% respectively). These offenders accounted for around one in five cases in the study. Juvenile offenders represented 3.0% of cases, offenders aged 1820 years represented 15.8% of cases and offenders aged over 65 years represented 0.6% of cases. Just over half (53.5%) of the offenders in the study had not been imprisoned previously. Special circumstances were found more frequently for these offenders (94.2%) than for offenders who had been imprisoned previously (88.3%). They also recorded a lower mean ratio (54.17% compared with 57.33%). Almost one-third (32.3%) of cases in the study were consecutive cases. However, these cases were less likely to attract special circumstances (89.5%) compared with non-consecutive cases (92.3%). This finding was also reflected in the higher mean ratio (smaller degree of departure from the statutory ratio) observed for consecutive cases (60.49%) compared with non-consecutive cases (53.34%). high frequency of findings but a small departure (high mean ratio). the greatest departure from the statutory ratio. The offence of murder recorded the lowest frequency of findings of special circumstances (30.1%) and also had the smallest departure from the statutory ratio where special circumstances were found (mean ratio = 70.37%). When all murder sentences were included, the mean ratio was 74.23%. This is unsurprising given the long duration of murder sentences (median full term was 21 years 10 months) and limited utility of an extended period of supervision. It also explains why jurisdiction as a factor (all murder cases are prosecuted in the Supreme Court) had a strong association with findings of special circumstances. offenders who pleaded guilty (54.0% compared with 41.1%). They were also more likely to incur overall full terms less than 16 years (17.5% compared with 3.4%). attempts to choke, etc (garrotting) (Crimes Act 1900, s 37): 54.5% and 62.20% respectively (mean ratio for all cases = 68.27%). The distinctive feature of sentencing for the escape offence is that the court is obliged to impose a sentence which is consecutive on any existing non-parole period(s).166 This constraint on the sentencing discretion may require the court to adjust the non-parole period for the escape offence downwards in order to properly apply the principle of totality.167 While the offence of inmate escape or attempt to escape lawful custody (Crimes Act 1900, s 310D(a)) recorded a relatively low frequency of findings of special circumstances (69.2%), it had one of the greatest departures from the statutory ratio where special circumstances were found (mean ratio = 46.01%). When all escape sentences were included the mean ratio was 55.53%. A more useful measure than the frequency of findings of special circumstances is the degree of departure from the statutory ratio for all cases. For example, there were 15 offences where special circumstances were found in every case. However, the degree of departure from the statutory ratio for those offences varied from 47.44% to 59.17%. Furthermore, there were a number of offences where the frequency of findings of special circumstances was not quite as high as 100%, although the degree of departure was much greater than for some of those offences that attracted special circumstances in every case. stealing property in a dwelling-house (Crimes Act 1900, s 148): 81.8% and 44.69% respectively (mean ratio for all cases = 50.20%). In the present study, there were 161 such cases and special circumstances were found in 151 of these (93.8%) and the degree of departure from the statutory ratio for all cases was 54.99%. In these cases, the fact that an offender was sentenced according to past practices may have been one of several reasons why special circumstances were found which justified a variation from the statutory ratio. The final analysis tests the proposition that shorter sentences of imprisonment are more likely to attract findings of special circumstances than longer sentences, and further, that shorter sentences will have a greater degree of departure from the statutory ratio (that is, lower mean ratios) than longer sentences. A further offence group, sexual assault, was selected on the basis that an aggravated form of the offence was in the top 10. While there may have been forms of offences within these offence groups which did not fall within the top 10 offences, they were included in the analysis in order to demonstrate the effect of offence seriousness on the frequency of findings of special circumstances and the degree of departure from the statutory ratio. Each offence group represents a discrete statutory scheme with graduating levels of seriousness both because of the maximum penalty and the circumstances of aggravation or seriousness. Two of the five offence groups had two levels of offence seriousness and three offence groups had three levels. Together, these 13 offences accounted for just over half of the cases in the study (50.2%). a smaller degree of departure from the statutory ratio the more serious the offence. Table 3: Offences within selected offence groups and their relationship to findings of special circumstances and the mean ratio between the non-parole period and full term of the overall sentence. Table 3 largely confirms the above proposition. It shows that for every offence group, except break, enter and commit a serious indictable offence, the mean ratio for all cases increased as the seriousness of the offence increased. With the exception of break, enter and commit a serious indictable offence and supply prohibited drug, the frequency of findings of special circumstances also decreased as the seriousness of the offence increased. In the case of supply prohibited drug, while the frequency of findings was higher for offences involving a commercial quantity of drugs than for offences involving less than a commercial quantity, the degree of departure from the statutory ratio was considerably less. Table 3 shows different results for the offence group of break, enter and commit a serious indictable offence. The specially aggravated form of the offence under s 112(3) had the highest frequency of special circumstances (96.9%) but the smallest departure from the statutory ratio (58.00%). The aggravated form of the offence under s 112(2) had a slightly higher frequency of findings of special circumstances (93.6%) and a slightly greater departure from the statutory ratio (53.60%) than offences committed under s 112(1) (92.1% and 55.04% respectively). Further analysis of the data revealed that there were factors which might explain these differences. It is axiomatic that these factors interrelate. Section 112(3) is a strictly indictable offence and also a serious childrens indictable offence.170 These offences are dealt with on indictment in the higher courts. Unlike s 112(3), an offence under s 112(2) is strictly indictable for adult offenders, but children may be dealt with in the Childrens Court.171 Section 112(1) offences can be dealt with summarily in the Local Court172 or the Childrens Court. Consequently, there was a higher number of young offenders in the study aged under 21 years (41.2%, including 20.6% who were juvenile offenders) who committed s 112(3) offences. However, the degree of departure from the statutory ratio for s 112(3) offences was not as great as the other offences within the offence group. This may reflect the necessity for the non-parole period to represent the seriousness of the offence. In the case of offences under s 112(1) and s 112(2), the counterintuitive results may be explained by differences in offender characteristics. First, as s 112(1) can be dealt with summarily, it would be expected that the cases dealt with in the higher courts fell into the more serious category. Further, the vast majority of offenders who committed an offence under s 112(1) had previously been imprisoned (86.7%, including 79.0% for an offence of the same type). Further, only 7.9% were aged less than 21 years. In comparison, offenders who committed an offence under s 112(2) were less likely to have been previously imprisoned (69.4%, including 58.1% for an offence of the same type), and were more likely to be aged less than 21 years (28.5%). These factors  age and reduced prospects of rehabilitation  have a direct bearing on the issue of special circumstances as the discussion above illustrates. The concept of special circumstances in s 44(2) remains an integral part of the sentencing process for State offences. The provision should neither be applied as a statutory norm nor necessarily be taken into account as the last consideration in the sentencing exercise. It is an essential tool used to address the offenders rehabilitation. Since the statutory ratio is set at 75%, NSW has one of the harshest sentencing statutes in Australia. During the reference period, special circumstances were found in 91.4% of 13,401 cases where a non-parole period was set for the overall sentence. However, this figure of itself does not address or inform the degree to which sentences imposed by courts depart from the statutory ratio in s 44(2). When the degree of departure from the statutory ratio was analysed, the most common ratio between the non-parole period and the full term of the overall sentence was 50%. This was found in 20.6% of cases. The non-parole period was set at less than 50% in 21.5% of cases and set at between 50% and 75% in 49.4% of cases. In almost a quarter of cases (23.9%), the non-parole period was set at 60% to 66.67%. The average, or mean, ratio was 55.65%. These findings were broadly comparable with sentences imposed in Victoria. The effect of accumulation of sentences was also cited as a factor. Sentencing judges appear to be largely following the Court of Criminal Appeal position that an offenders first time in custody is not, of itself, a sufficient reason to make a finding of special circumstances. In only 5 cases (3.1%) was this the only reason cited. The data was examined to gauge the effect of other possible factors and their relationship to findings of special circumstances. The length of the overall full term had by far the strongest association with the frequency of findings of special circumstances and the degree of departure from the statutory ratio. As the length of the overall full term increased so did the ratio between the non-parole period and the full term of sentence. The lowest mean ratios were observed for offenders sentenced to an overall full term shorter than 4 years (50.58% for sentences less than 2 years, 50.23% for sentences of 2 years but less than 3 years and 52.75% for sentences of 3 years but less than 4 years). It is clear that the need for the court to utilise s 44(2) reduces the longer the duration of a sentence. For example, the most serious offence in the criminal calendar, murder, had the lowest frequency of findings of special circumstances (30.1%) and the highest mean ratio (74.23%) of any offence in the study. This also held true where we controlled for the offence using specific offence groupings with graduating levels of seriousness: the more serious the offence, the longer the sentences. There were fewer findings of special circumstances and smaller degrees of departure from the statutory ratio the more serious the offence (subject to some explicable exceptions). This was evidence of a diminution in the weight attributed to factors capable of finding special circumstances. It also indicated that the period of supervision was adequate without a finding being made under s 44(2). The study therefore confirms that a wide range of factors, often considered in combination, are capable of justifying a finding of special circumstances. The weight attributed to these factors diminishes the more serious the offence and the longer the sentence. In every case there is the prevailing consideration that the court must impose a non-parole period which represents the minimum period that justice requires the offender spend in full-time custody. The following sets out the rationale for the method used to measure both the frequency of findings of special circumstances and the degree of departure from the statutory ratio in s 44(2). The measurement was straightforward where the offender was sentenced for only one offence (6,341 or 47.3% of cases analysed). The difficulty arises where an offender is sentenced for more than one offence. The issue is whether special circumstances should be calculated at the individual level, that is, by using the ratio for the principal offence only, or alternatively, whether it should be calculated at the overall level, that is, the ratio between the non-parole period and full term of the overall sentence. Where the offender is sentenced to wholly concurrent sentences, or where secondary offences are subsumed within the sentence for the principal offence (2,738 or 20.4% of cases analysed), it does not matter because the ratio at the principal offence level and the overall level is the same. However, the ratio will be different in most cases where consecutive sentences are imposed, or where an aggregate sentence is imposed under the recently enacted s 53A of the Crimes (Sentencing Procedure) Act (4,322 or 32.3% of cases analysed). where a s 53A aggregate sentence was imposed and a non-parole period was not indicated for the principal offence. It also shows how often special circumstances were found at the principal offence level and at the overall level. Table A shows overwhelmingly that the principal offence ratio was less than the overall ratio (3,911 of 4,322 cases). In only 79 cases was the principal offence ratio the same as the overall ratio and in only 247 cases was the principal offence ratio more than the overall ratio. Table A also shows that in 263 cases special circumstances were found for the principal offence but not at the overall level. Conversely, in 103 cases the ratio was less than 75% of the overall sentence but 75% or higher for the principal offence. These figures clearly reveal that the degree of departure from the statutory ratio was greater at the principal offence level than at the overall level. 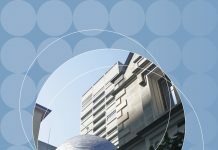 It confirms the accepted sentencing practice of reducing the non-parole period for the principal offence where some form of accumulation is necessary in order to apply the principle of totality (discussed in the study). If the study were to only use the ratio for the principal offence rather than the ratio for the overall sentence there is a real danger of presenting a distorted picture of special circumstances  particularly with regard to the degree of departure from the statutory ratio. The reality is that where an individual sentence is part of a larger exercise, the ratio of the non-parole period to the full term of sentence for the individual sentence cannot convey an accurate picture of what occurred in the sentencing exercise. The ratio set by the court for the overall sentence provides a much more accurate picture as it takes account of the structure of the whole sentence and the principle of totality. It may explain why a court has refrained from finding special circumstances on the basis that there was a sufficient period of supervision inherent in the sentence. Another good reason for using the ratio for the overall sentence is that it was not possible in some cases to derive a ratio for the principal offence where an aggregate sentence under s 53A was imposed. Under s 53A a court is not required to indicate a non-parole period for offences that do not carry standard non-parole periods. Table A shows that a non-parole period was not indicated for the principal offence in 85 of 113 cases where an aggregate sentence was imposed. Put alternatively, a non-parole period was only indicated in 28 of 113 cases. Since the analysis adopts the overall level, the 263 cases where a finding of special circumstances was made for the principal offence but not reflected in the overall sentence are excluded from the analysis. Conversely, the study includes the 181 cases where special circumstances were found for the overall sentence only, including 78 aggregate sentencing cases where there was no indicative non-parole for the principal offence. Although there is no rule in Victoria which corresponds to the statutory rule in NSW, it is worthwhile making a jurisdictional comparison of the ratios between the non-parole periods and terms of sentence for cases dealt with on indictment (presentment). 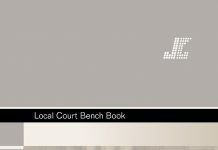 The Victorian Sentencing Advisory Council provided sentencing data for a 5-year period 200708 to 201112. The data, like this study, exclude fixed term sentences and the ratios have been calculated at the overall (or effective) level. However, unlike this study, the data include sentences for Commonwealth offences. Note also that the statistics on JIRS are adjusted or altered to take into account the outcomes of successful conviction or sentence appeals. In order to make a more meaningful comparison with Victoria, the NSW data have been refined to include Commonwealth offences and to cover the same reference period from 1 July 2007 to 30 June 2012. During this period, NSW dealt with 9,943 cases compared with 4,635 cases in Victoria. Figure B shows the ratios (grouped) for both jurisdictions. higher courts in Victoria set a non-parole period between 66.67% and 75% more often than NSW (11.2% compared with 7.4%). Overall, the non-parole period was set at less than 75% in both jurisdictions in the vast majority of cases (92.6% in NSW and 92.0% in Victoria). The average, or mean, ratio was 55.87% and 57.16% respectively. 1 Sentencing Act 1989, s 5(2) (rep) (effective 25 September 1989 to 2 April 2000), re-enacted with terminology changes by the Crimes (Sentencing Procedure) Act 1999, s 44(2) (effective 3 April 2000). 2 See I MacKinnell, D Spears and R Takachi, Special circumstances under the Sentencing Act 1989 (NSW), Research Monograph No 7, Judicial Commission of NSW, 1993; J Keane, P Poletti and H Donnelly, Common offences and the use of imprisonment in the District and Supreme Courts in 2002, Sentencing Trends & Issues, No 30, Judicial Commission of NSW, Sydney, 2004; P Poletti, Z Baghizadeh and P Mizzi, Common offences in the NSW higher courts: 2010, Sentencing Trends & Issues, No 41, Judicial Commission of NSW, Sydney, 2012. 3 R v Fidow  NSWCCA 172 per Spigelman CJ at , commenting on the findings of the study reported in Keane, Poletti and Donnelly, ibid. 5 Griffiths v The Queen (1989) 167 CLR 372. 6 R v Griffiths (unrep, 23/3/89, NSWCCA) at 1112. 7 (1989) 167 CLR 372. 8 ibid per Gaudron and McHugh JJ at 391. 9 Second Reading Speech, Sentencing Bill, Legislative Assembly, Debates, 10 May 1989, p 7905; R v Maclay (1990) 19 NSWLR 112 at 121. See also D Weatherburn and R Howie, Disappearing non-parole periods and the sentencers dilemma (1985) 9(2) Crim LJ 72. 10 (1990) 19 NSWLR 112 at 121. 12 (1990) 19 NSWLR 112 at 121. 13 E Matka, NSW Sentencing Act 1989, NSW Bureau of Crime Statistics and Research, Sydney, 1991; A Johnston and D Spears, The Sentencing Act 1989 and its effect on the size of the prison population, Research Monograph No 13, Judicial Commission of NSW, Sydney, 1996, and references cited therein at pp 2628. 14 Muldrock v The Queen (2011) 244 CLR 120 at . 15 PNJ v The Queen (2009) 83 ALJR 384 at . 16 R v Moore  NSWCCA 3 at . 18 For example, where parole has been refused by the Parole Authority, an offender may not apply again for parole for a further nine months and that application must not be considered by the Parole Authority more than 60 days before the offenders annual review date: Crimes (Administration of Sentences) Act 1999, s 137A. Note that s 137A is subject to s 137B and the Crimes (Administration of Sentences) Regulation 2008, cl 233. Parole systems differ across the States and Territories. For a comparison of these see Sentencing Advisory Council (Vic), Review of the Victorian Adult Parole System, Report, March 2012, App 3, pp 108119, at <www.sentencingcouncil.vic.gov.au/sites/default/files/publication-documents/Review of the Victorian Adult Parole System Report.pdf>, accessed 11 June 2013. 19 Crimes (Sentencing Procedure) Act, ss 50, 51; Crimes (Administration of Sentences) Act 1999, s 159 (sentence of imprisonment for a term of 3 years or less). 20 Crimes (Administration of Sentences) Act 1999, Pt 6. 21 R v Harkness  VSCA 87 at ; Sentencing Act 1991 (Vic), s 11(1). 22 Sentencing Act 1991 (Vic), s 11(3). 23 (2007) 170 A Crim R 205. 24 ibid at . See also Vujasic v R  VSCA 229 at . 25 R v Bolton & Barker  1 VR 692. 29 Australian Law Reform Commission (ALRC), Same crime, same time: sentencing of federal offenders, ALRC Report 103, Canberra, 2006, Ch 9 at [9.26]. 30 R v Romero (2011) 32 VR 486 at . 31 Green v R  VSCA 236 at . 32 Mann v R  VSCA 189; Mokbel v R  VSCA 106; Vujasic v R  VSCA 229; Green v R  VSCA 236. 33 Unpublished data provided by S Farrow, Chief Executive Officer, Sentencing Advisory Council (Vic), 17 June 2013. The ratios provided are for all cases where a non-parole period was set. These findings are compared with NSW in Appendix B. 34 Subject to comity considerations between courts exercising federal jurisdiction: R v Mokoena  2 Qd R 351 at . 35 Penalties and Sentences Act 1992 (Qld), ss 160B160D. 37 Corrective Services Act 2006 (Qld), s 184(2). 38 ibid s 182; Penalties and Sentences Act 1992 (Qld), s 161A, Sch 1. 39 Corrective Services Act 2006 (Qld), ss 181, 181A. 40 Criminal Law (Sentencing) Act 1988 (SA), s 32(10)(d). 41 ibid s 32(5). Note that a mandatory minimum parole period of 20 years also applied if a court was sentencing a person to life imprisonment for murder. 43 Sentencing Act 1995 (WA), s 93(1). 44 ibid. See also s 94 of the Sentencing Act 1995 (WA) as to how that jurisdiction calculates eligibility dates for parole where the prisoner is serving more than one sentence. 45 Hili v The Queen (2010) 242 CLR 520 at . 46 ibid at , . 48 Muldrock v The Queen (2011) 244 CLR 120 at . 49 Power v The Queen (1974) 131 CLR 623 at 628629, applied in Deakin v The Queen (1984) 58 ALJR 367; R v Simpson, Caristo v R  NSWCCA 7 at . 50 Veen v The Queen (No 2) (1988) 164 CLR 465 at 477. 51 Crump v NSW (2012) 86 ALJR 623 per French CJ at , quoting Deakin v The Queen (1984) 58 ALJR 367 at 367. 52 R v Maclay (1990) 19 NSWLR 112 at 116117. 53 R v Pogson (2012) 82 NSWLR 60 at . 55 M Pearse, The effectiveness of probation and parole supervision in NSW (2012) 24(7) JOB 53 at 55. 57 ibid at ; see also per Buddin J at . 58 (2001) 53 NSWLR 704. 60 Edwards v R  NSWCCA 199 at ; Jinnette v R  NSWCCA 217 at . 61 Musgrove v R (2007) 167 A Crim R 424 at . 62 R v Way (2004) 60 NSWLR 168 at , citing R v Moffitt (1990) 20 NSWLR 114. 63 Eid v R  NSWCCA 255 at . 64 Musgrove v R (2007) 167 A Crim R 424 at ; DPP (NSW) v RHB (2008) 189 A Crim R 178 at , ; Wakefield v R  NSWCCA 12 at . 65 Wakefield v R, ibid at ; Briggs v R  NSWCCA 250 at . 66 R v Fidow  NSWCCA 172 per Spigelman CJ at . 67 R v Simpson (2001) 53 NSWLR 704 at ; Fitzpatrick v R  NSWCCA 26 at . 68 R v El-Hayek (2004) 144 A Crim R 90 at ; Caristo v R  NSWCCA 7 at . 69 R v Simpson (2001) 53 NSWLR 704 at , . 71 R v Fidow  NSWCCA 172 at . 72 R v El-Hayek (2004) 144 A Crim R 90 at . 73 Arnold v R  NSWCCA 150 at ; RLS v R  NSWCCA 236 at . 74 R v Windle  NSWCCA 222 at . 75 Jackson v R  NSWCCA 162 at . 76 Dyer v R  NSWCCA 185 at ; Jinnette v R  NSWCCA 217 at . 77 Jinnette v R, ibid at . 78 AM v R  NSWCCA 203 at ; Kennedy v R (2008) 181 A Crim R 185 at . 79 R v Mammone  NSWCCA 138 at . 80 Sevastopoulos v R  NSWCCA 201 at . 81 R v Mammone  NSWCCA 138 at . 82 Muldrock v The Queen (2011) 244 CLR 120 at ; Devaney v R  NSWCCA 285 at . 83 Tatana v R  NSWCCA 398 at . 84 Mattar v R  NSWCCA 98 at , but see RWB v R (2010) 202 A Crim R 209 at . 85 R v Tobar (2004) 150 A Crim R 104 at ; R v Huynh  NSWCCA 220 at ; Markham v R  NSWCCA 295 at 29]. 86 R v GDR (1994) 35 NSWLR 376 at 380. 87 Caristo v R  NSWCCA 7 at . 88 Muldrock v The Queen (2011) 244 CLR 120 at . 90 Clarke v R  NSWCCA 49 at ; R v Cramp  NSWCCA 264 at . 91 R v GDR (1994) 35 NSWLR 376 at 381. 92 AM v R  NSWCCA 203 at ; Collier v R  NSWCCA 213 at ; Jinnette v R  NSWCCA 217 at . 93 Crimes (Administration of Sentences) Act 1999, s 3(1). 94 Crimes (Administration of Sentences) Regulation 2008, cl 228(2). 95 R v Cramp  NSWCCA 264 at ; R v Fidow  NSWCCA 172 at ; Jiang v R  NSWCCA 277 at . 96 Muldrock v Queen (2011) 244 CLR 120 at ; R v Simpson (2001) 53 NSWLR 704 at . 97 Markarian v The Queen (2005) 228 CLR 357 at . 99 (1994) 35 NSWLR 376. 101 SJ Odgers, Sentence, Longueville Books, Woollahra, 2012, p 388. 106 The prohibition on double counting was reiterated by Spigelman CJ in R v Fidow  NSWCCA 172 at . 107 Spark v R  NSWCCA 140 per Fullerton J at . 108 (2005) 228 CLR 357. 110 The latest data available. 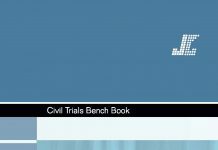 111 Outcomes in appeal cases contained in the Court of Criminal Appeal database up to and including 15 February 2013 have been taken into account. Where an appeal to the Court of Criminal Appeal or the High Court resulted in an acquittal, a new trial or remittal to the lower court, the record was removed from the data. If the appeal resulted in a new sentence, that sentence replaced the first instance penalty on the Judicial Information Research System (JIRS). Sentences imposed after a retrial or remittal are included if they fall within the reference period. 112 Sentences imposed following breaches by offenders of suspended sentences, community service orders (CSOs) and good behaviour bonds are excluded on the basis that they arise under breach provisions which provide for a call-up procedure which may result in offenders being resentenced for the original offences. Hence, these are not regarded as offences in the strict sense. 113 If an offender is convicted of two or more offences and received identical penalties, the offence with the highest statutory maximum penalty is selected as the principal offence. If two or more offences have the same statutory maximum penalty, the offence with a Form 1 attached is selected as the principal offence. In the absence of a Form 1, a standard non-parole (SNPP) offence, substantive offence, or a completed offence rather than a with intent offence, is selected as the principal offence. Where none of these differentiating features is present, the offence with the highest Median Sentencing Ranking (MSR) is selected as the principal offence. 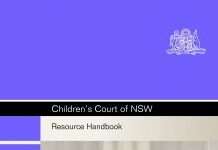 The MSR is a measure of offence seriousness in NSW, jointly developed in 2010 by BOCSAR and the Judicial Commission of NSW. See I MacKinnell, P Poletti and M Holmes, Measuring offence seriousness, Crime and Justice Bulletin, No 142, BOCSAR, 2010. 114 Where aggregate sentences are imposed under s 53A of the Crimes (Sentencing Procedure) Act, the sentence for the principal offence is derived from the indicative sentence for that offence as recorded in the sentencing judges remarks on sentence: s 53A(2)(b). An indicative non-parole period was recorded in only 28 of 113 cases in the study where an aggregate sentence was imposed. The length of the overall sentence does not include sentences which are consecutive or partly consecutive on existing sentences (that is, sentences imposed at an earlier court appearance) or sentences imposed following a call-up for a breach: see above n 112. 115 Periodic detention ceased to be an available sentencing option from 1 October 2010: Crimes (Sentencing Legislation) Amendment (Intensive Correction Orders) Act 2010, Sch 1. 116 Home detention and periodic detention accounted for a small percentage of sentences of imprisonment requiring a non-parole period to be set (0.4% and 5.3% respectively). 117 Hili v The Queen (2010) 242 CLR 520 at . There were 1,002 cases excluded from the study where the principal offence was a Commonwealth offence (including 21 fixed terms of imprisonment). 118 Fixed terms of imprisonment included sentences of life imprisonment (15 cases); limiting terms (47 cases): Mental Health (Forensic Provisions) Act 1990, s 23(6)(a); sentences of 6 months or less (131 cases): Crimes (Sentencing Procedure) Act, s 46; and other reasons for declining to set a non-parole period (170 cases): Crimes (Sentencing Procedure) Act, s 45(1). 119 This occurred in 263 cases. 120 This occurred in 181 cases (including 78 aggregate sentencing cases under the Crimes (Sentencing Procedure) Act, s 53A, where there was no indicative non-parole period for the principal offence). 121 R v BT  NSWCCA 276 per Basten JA at . 122 R v DBN  NSWCCA 435 at ; R v LWP  NSWCCA 215 at . 123 R v BT  NSWCCA 276 per Basten JA at ; see also the discussion in Caristo v R  NSWCCA 7 per RA Hulme J at . 124 Spark v R  NSWCCA 140 at . 125  NSWCCA 210 at . 126 Hejazi v R (2009) 217 A Crim R 151 at ; Spark v R  NSWCCA 140 at . 127 See n 114 above. 128 An analysis of a sample of cases in the study  those cases finalised at first instance in the 2011 calendar year (1,827 cases)  found that rounding up occurred in around 5.6% of cases (103 cases). Of these, 77% slightly overstated the true ratio (79 cases) and 23% slightly understated the true ratio (24 cases). Overall, however, only 6 cases were falsely rejected and only one case was falsely accepted. If a similar number of cases were affected in this way each year, then the frequency of findings of special circumstances in the study may be understated by approximately 0.3 percentage points. 129 See Rios v R  NSWCCA 8 where the court made it clear that it is preferable to express sentences in years and months and not descend into numbers of days: at . How often this occurred is unknown. However, these cases fall within the borderline cases: see below n 131. 130 The practise is to backdate the commencement date to include the period of pre-sentence custody, rather than reduce the non-parole period and full term of sentence by the amount of pre-sentence custody. However, if the latter occurred, the ratio would be lower than the ratio had the sentence been backdated. How often this occurred is unknown. 131 An analysis of cases in the study with a ratio between 70 and 75% (684 cases) where the remarks on sentence and/or Court of Criminal Appeal judgments were available (198 cases) found that the sentencing judge made no findings of special circumstances in 44 cases. In most of these cases, the ratio was above 73%. Extrapolating to the remaining cases, it is estimated that the frequency of findings of special circumstances in the study may be overstated by approximately 1.3 percentage points. In a small number of cases, a finding of special circumstances was necessary to adjust the ratio for an individual offence(s) because of the effect of accumulation on the structure of the overall sentence. While the intention was to reflect the statutory ratio at the overall level, a slight variation remained. It is estimated that the frequency of findings of special circumstances may be overstated by up to a further 0.5 percentage points. 132 A first instance or appeal judgment was available for 1,738 special circumstances cases. A random sample of 200 cases (11.5%) was examined. The random sample contained 76 first instance judgments (42 District Court and 34 Supreme Court). The only judgments in the remaining 124 cases were judgments handed down in the Court of Criminal Appeal. However, the reasons for a finding of special circumstances were not stated in 41 of the Court of Criminal Appeal judgments. 133 Since the median and mean ratios were similar, only the mean ratios are used in the study. 134 The Kruskal-Wallis test returns the same value as the Mann-Whitney U test (for two independent samples) and Cramers V returns the same value as Phi (for 2 x 2 tables). Cramers V and Eta have a value between 0 (completely unpredictable) and 1 (perfectly predictable). The Eta2 statistic represents the proportion of variation in the mean ratio that can be explained by each factor. 135 See Table 2 for the figures by reference year. While this finding was found to be statistically significant, the strength of the association was weak: Cramers V = 0.064; chi-square test, p < 0.000. 136 Although the difference in the mean ratio was found to be statistically significant: Kruskal-Wallis test, p <0.029, the strength of the association was very weak: Eta = 0.006. 137 (2001) 53 NSWLR 704. 138 R v Fidow  NSWCCA 172 at , quoted in R v GWM  NSWCCA 240 at . 139 R v Kaliti  NSWCCA 268, cited with approval in R v GWM ibid at . 140 See n 132 above. 144 ibid. See also Gleeson CJs comments in R v Farroukh (unrep, 29/3/96, NSWCCA). 145 See L Barnes and P Poletti, Sentencing robbery offenders since the Henry guideline judgment, Research Monograph No 30, Judicial Commission of NSW, 2007, Sydney, pp 106108. 146 Cramers V = 0.335; chi-square test, p < 0.000. 147 Cramers V = 0.204; chi-square test, p < 0.000. 148 Cramers V = 0.163; chi-square test, p < 0.000. 149 Cramers V = 0.569; chi-square test, p < 0.000 and Cramers V = 0.300; chi-square test, p < 0.000, respectively. The imposition of consecutive sentences was another factor found to be associated with the length of the overall full term of sentence: Cramers V = 0.243; chi-square test, p < 0.000. 150 Eta = 0.469; Kruskal-Wallis test, p < 0.000. Approximately 22% of the variation in the mean ratio could be explained by this factor: Eta2 = 0.220. 151 Eta = 0.271; Kruskal-Wallis test, p < 0.000. 152 Eta = 0.196; Kruskal-Wallis test, p < 0.000. 153 Eta = 0.182; Kruskal-Wallis test, p < 0.000. 154 Eta = 0.163; Kruskal-Wallis test, p < 0.000. 155 Eta = 0.128; Kruskal-Wallis test, p < 0.000. 156 Eta = 0.037; Kruskal-Wallis test, p < 0.029. 157 Eta = 0.026; Kruskal-Wallis test, p < 0.005. 158 Eta = 0.024; Kruskal-Wallis test, p < 0.000. 159 Cramers V = 0.243; chi-square test, p < 0.000. 160 D Spears and I MacKinnell, Sentencing homicide: the effect of legislative changes on the penalty for murder, Sentencing Trends & Issues, No 7, Judicial Commission of NSW, 1994, Sydney, p 3. 161 ibid. See also R v McDonald (unrep, 18/8/94, NSWCCA) where it was said that a tariff was developing for murder offences: a benchmark sentence was 20 years comprising a minimum term of 14 years and an additional term of 6 years. The ratio for this benchmark sentence is 70% which means that an ordinary case attracts a finding of special circumstances. 162 MacKinnell, Spears and Takachi, above n 2, p 5. 164 Keane, Poletti and Donnelly, above n 2, p 11. 165 ibid. This study excluded consecutive cases. However, as there were only 3 such cases, the findings were consistent with those in the current study. 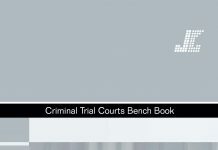 166 Crimes (Sentencing Procedure) Act, ss 57(2), (3). 167 or example, see the discussion of totality and escape in the Crown appeal, R v Hookey  NSWCCA 252 at , and the severity appeal, Jinnette v R  NSWCCA 217 at . 168 AJB v R (2007) 169 A Crim R 32 at ; MJL v R  NSWCCA 261 at . Magnuson v R  NSWCCA 50 at . 170 Children (Criminal Proceedings) Act 1987, s 3. 172 Criminal Procedure Act 1986, Sch 1, Table 1, Pt 2, item 8.